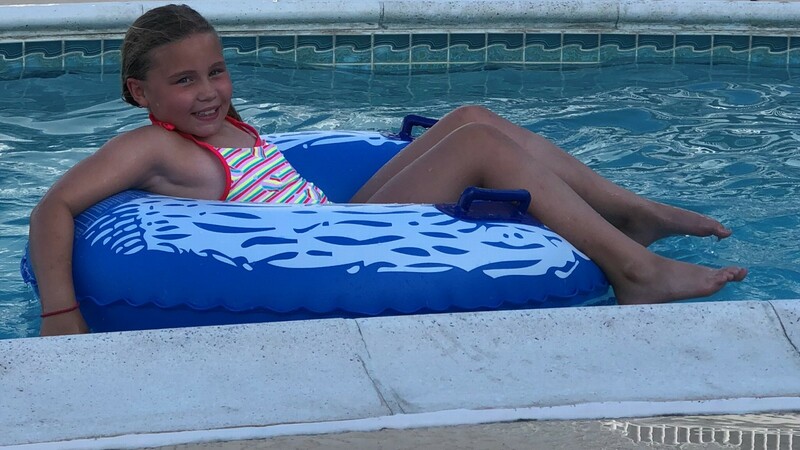 Sydney is a happy eight year old in third Grade who loves to read, swims competitively, plays soccer and field hockey, and enjoys spending time with her friends. On the outside, you would never know that Sydney is one of the 300,000 children affected by juvenile arthritis in the United States. Thankfully, she was able to get appropriate care and treatment for her arthritis and continues living her life as an active little girl. At 15 months old, four months after taking her first steps, Sydney suddenly stopped walking. Her parents noticed swelling in her ankle and made an appointment with their Pediatrician. She was started on over-the-counter medications. Initial concerns lead doctors to test Sydney for fractures, bone cancers, infections or other causes of limping. Her right ankle started to swell and within the next few weeks, her knee and multiple other joints too. It became clear she was dealing with some form of juvenile arthritis. Sydney’s pain and swelling were so severe for months she could barely even crawl or play with her toys. Sydney’s father was active duty military and her family had recently moved to a new city and state. Despite living near a heavily populated city, there wasn’t a pediatric rheumatologist who treated arthritis in the area. Her father was getting ready to deploy to Afghanistan for eight months and they traveled ninety minutes to a neighboring city to see a doctor that specialized in pediatric arthritis. That day changed Sydney’s life. She started four prescription medications, referred to physical therapy, and had a treatment plan for her arthritis. After 7 years of continuous treatment for arthritis, Sydney is currently in remission. She remains under the care of her doctors but lives a healthy and active lifestyle thanks to early intervention and treatment. Sydney and her family are thankful for the amazing care she has received over the years from her arthritis health care professionals. The money raised for the Arthritis Foundation is critical in supporting the 54.4 million adults and children like Sydney living in the United States with arthritis. With your support, the Arthritis Foundation will help provide patients with access to optimal care, fund advancements in research, improve community connections, and work towards a cure of the disease. Dr. Scott Grabill joined SMOC with extensive experience as a total joint replacement specialist. Before joining SMOC, Dr. Grabill served 13 years active duty in the US Navy. 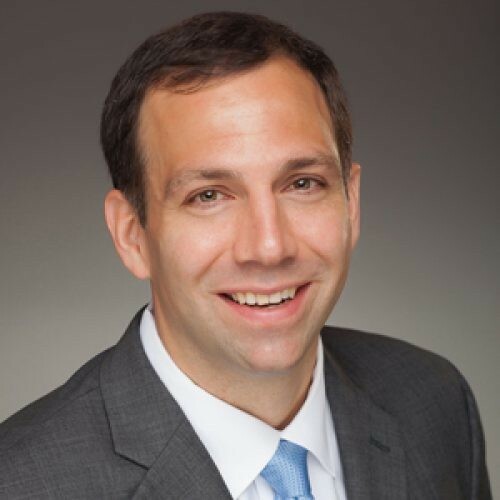 Dr. Grabill is an expert in joint replacement and reconstruction surgery, having most recently served as the Chairman of Orthopaedic Adult Reconstruction Surgery at Walter Reed National Military Medical Center in Bethesda, MD. After supporting combat troops in Afghanistan as an orthopaedic surgeon, Dr. Grabill completed advanced joint replacement fellowship training at the world-renowned Cleveland Clinic. Using the latest technologies from his training, Dr. Grabill helped train our next generation of orthopaedic surgeons at the military’s largest teaching hospital. In his spare time, Dr. Grabill enjoys spending time with his wife and two children. His interests include fishing, running, sporting events, and coaching his children’s athletic teams. Dr. Grabill and his family are active members of their local church. Dr. Grabill is excited about robotic assisted knee and hip replacement, which will allow surgeons to plan and perform the surgery to the most exact patient specifications. He is also increasingly utilizing porous metal technology to allow press-fit cementless implantation of joint replacements. Mikayla learned very early on the pain and struggle of living with juvenile arthritis. 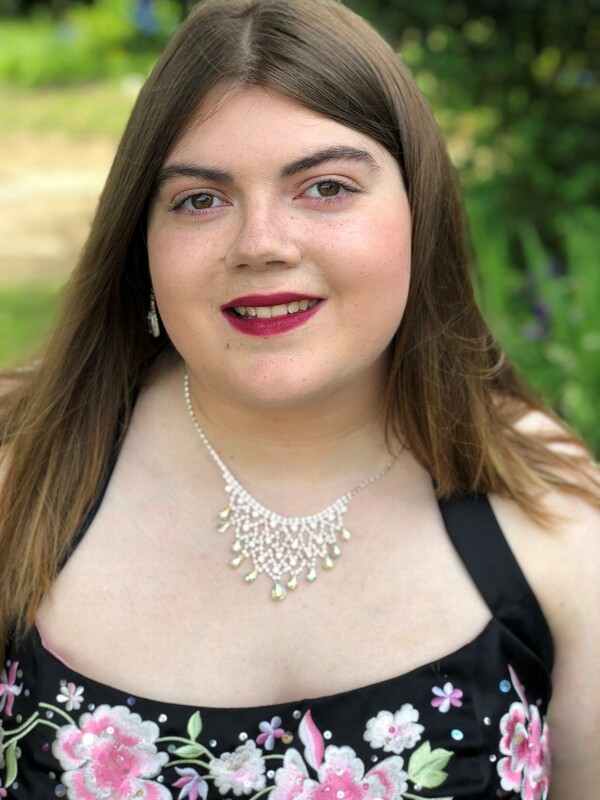 Mikayla was diagnosed at the age of 11 with polyarticular juvenile psoriatic arthritis after a three and a half month battle with a strep infection in her skin. Mikayla has gone through several different biologic medications and medications for her psoriasis hoping to find the right one. Currently she is undergoing treatments of Remicaide infusions along with several other medications to help with her disease. Along with arthritis Mikayla also has been diagnosed with what her doctor calls nerve pain syndrome, also known as Fibromyalgia. She also suffers from other complications with her kidneys, stomach and heart due to her original infection. Mikayla now sees a dual certified Rheumatologist, Dr. Patel, and has been a patient of his since she was 14 years old. Mikayla has been involved in the arthritis foundation since 2012 and continues to take part in several different events hosted by the Arthritis foundation. Mikayla has previously been the youth Honoree for the Jingle Bell Run for two consecutive years. Mikayla volunteers often with the Arthritis Foundation and Bay Beagle Rescue in her free time. She also enjoys spending time with her friends and family and doing various forms of art. She loves spending time with her dogs as well and they love to keep her company when she is having flare ups. Mikayla is a two-time recipient of the Winterhoff Scholarship for those living with arthritis. Mikayla Bowers was a 2017 graduate of Phoebus High School and is a current sophomore at Virginia Wesleyan University studying Biology. Mikayla is going to college to pursue her goal of becoming a pediatric rheumatologist to be able to help kids who battle from this disease every day. To support Mikayla or join her team please click here! 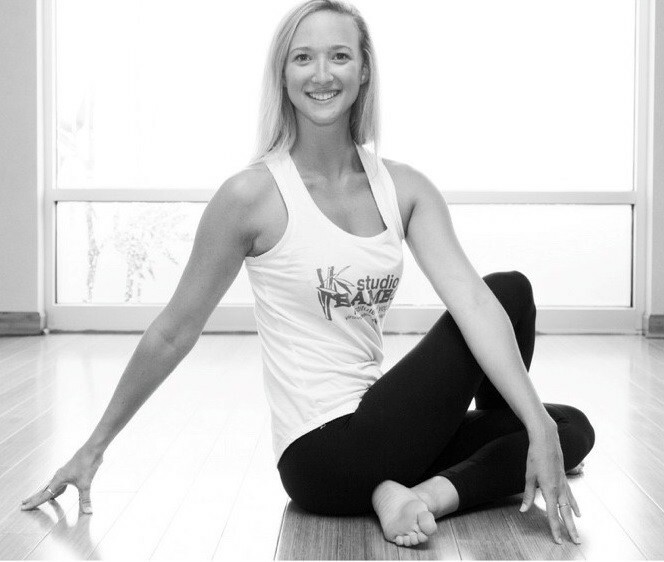 Lexie Dunks is a yoga and barre instructor at Studio Bamboo Institute of Yoga in Virginia Beach and Chesapeake, VA. She holds a Bachelor of Fine Arts in Dance Performance from Radford University and currently teaches ballet, modern, tap, and jazz to all ages at Encore Dance Center. Lexie is a certified 200-hour yoga teacher by Ann Richardson Stevens and Studio Bamboo Institute of Yoga. Lexie guides her students through class with focus on alignment as well as focusing on how a pose feels rather than how it may look. She is looking forward to guiding the participants of the Jingle Bell Run in a warm up and stretch prior to the race beginning. This particular warm up will be gentle on the body as well as prepare your muscles for the race!